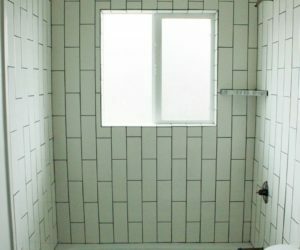 Now that your shower-tub surround is freshly tiled, it’s time to do the important work of making the place water-tight. 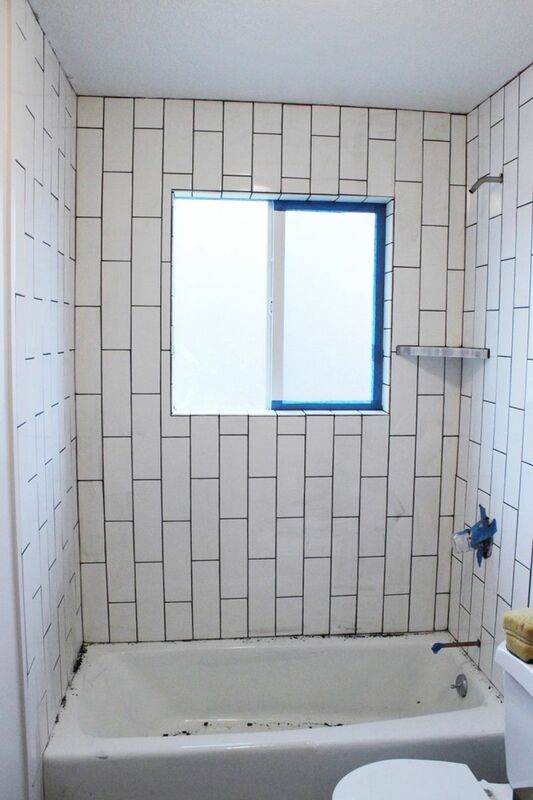 While the tile itself makes the shower look amazing, it’s the grunt work at the end here – the grouting, sealing, and caulking – that really makes a tiled shower or tub surround functional as a waterproof space. 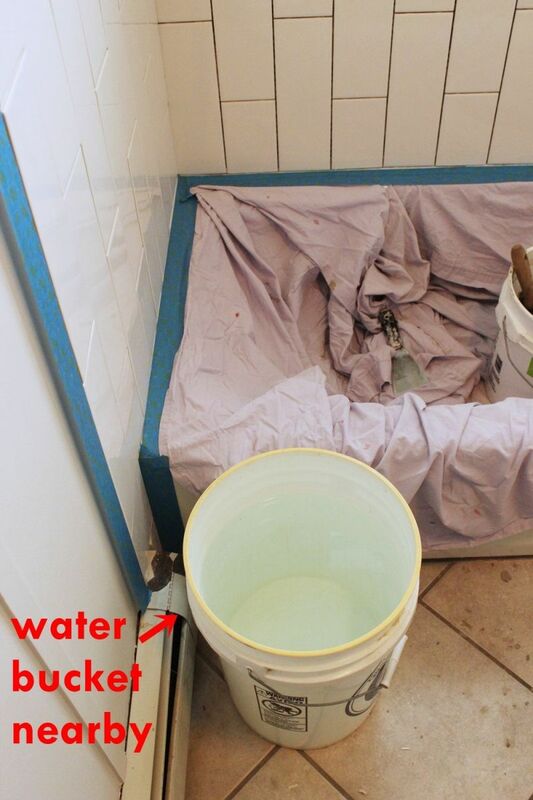 Without doing these steps correctly, water will seep through your walls and negate all your hard work up to this point. 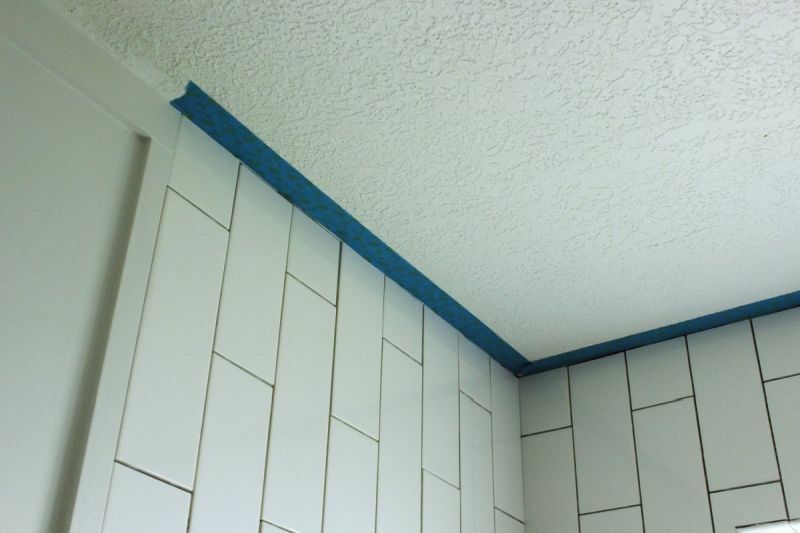 Start by taping off edges where tile joins up with something other than tile. 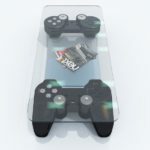 This step is optional; probably professionals skip it, but we’d highly recommend it for anyone following this tutorial. 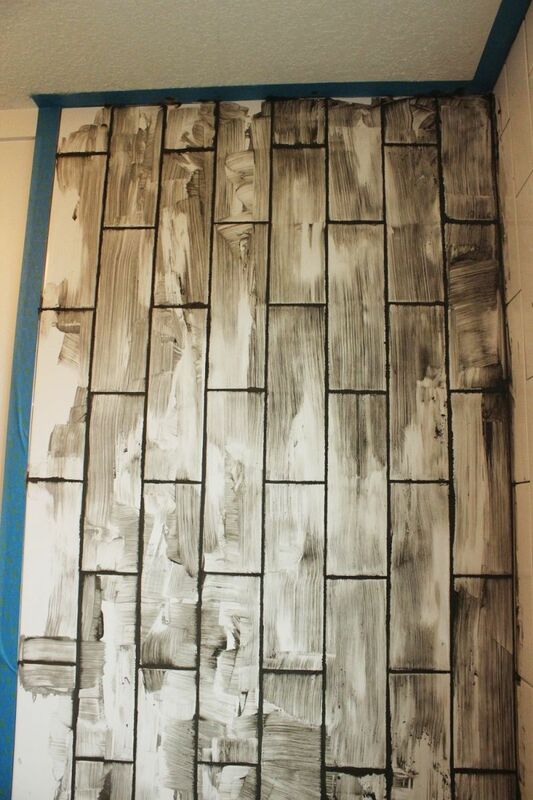 Tape provides a crisp edge but, more importantly, it provides for easier cleanup when you’re done grouting. 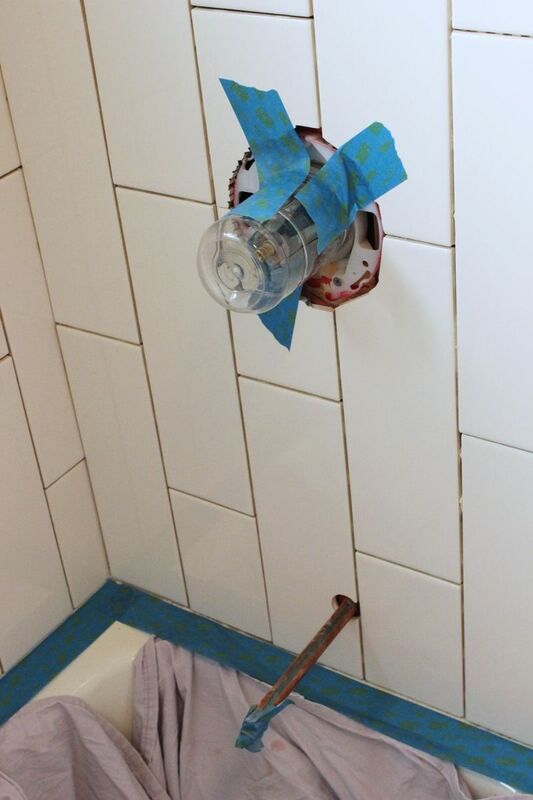 Tape or cover any other surfaces where falling grout bits wouldn’t be welcome, such as an exposed mixer valve. I taped a container over the protruding valve parts simply for ease of mind. 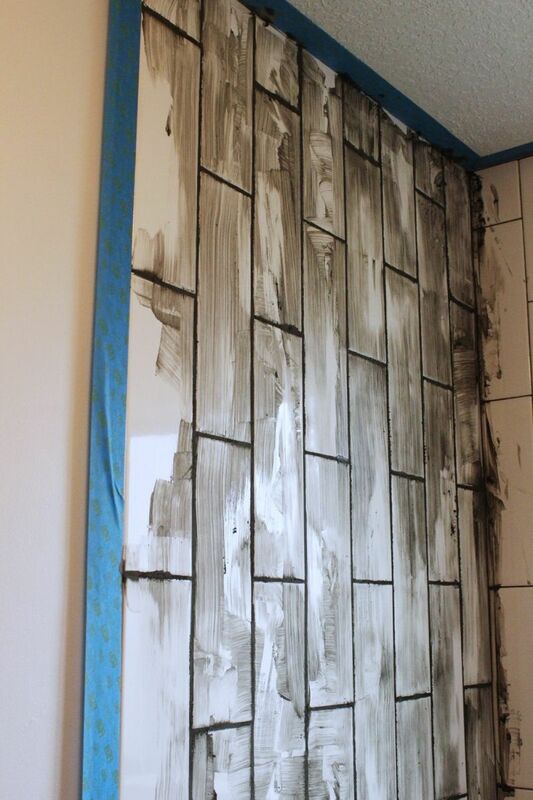 Take care that any taping you do doesn’t cover to-be-grouted lines. 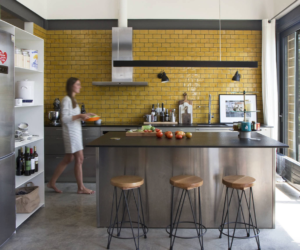 With your area prepped for grouting, it’s time to mix up the grout itself. 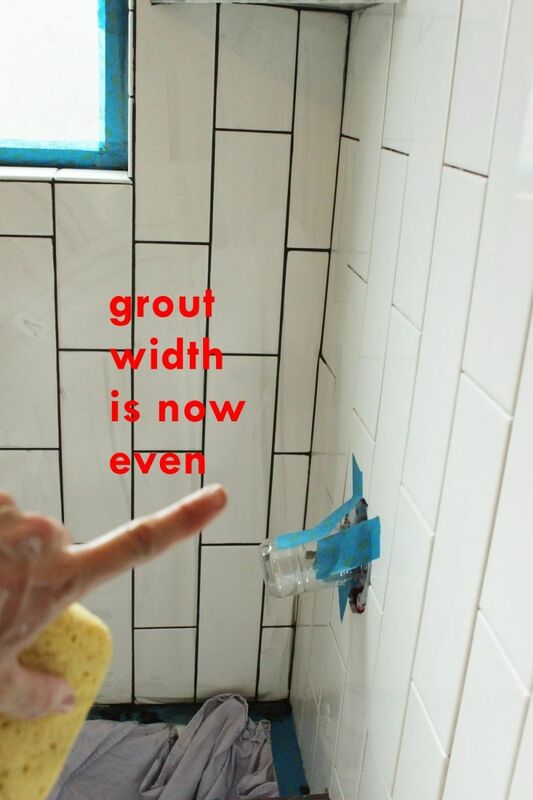 Follow the instructions on your grout package. 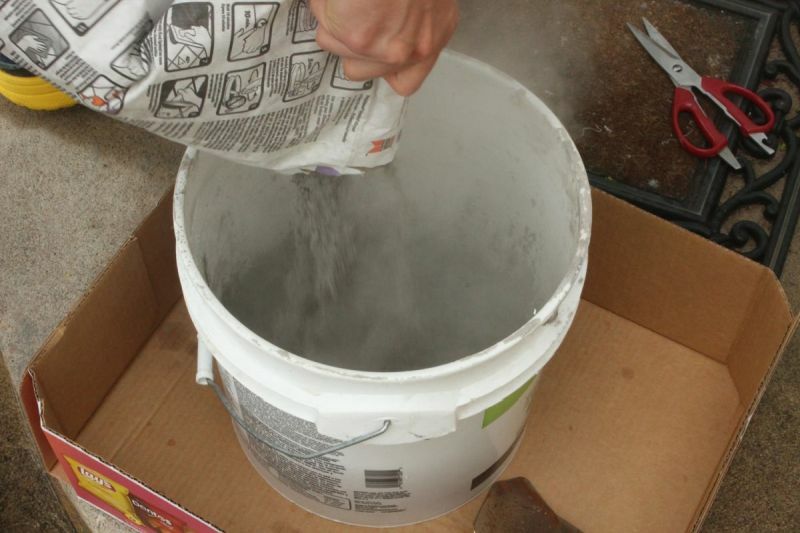 For this tub surround, we used about half a 25-pound bag of grout powder, poured into a large 3.5 gallon bucket. 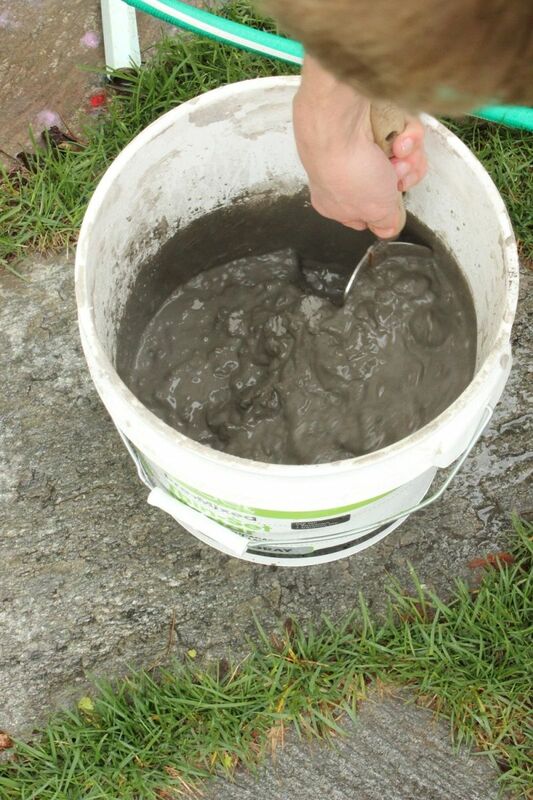 Add your allotted amount of water; for half a bag of grout, this equals about one quart of water, give or take. 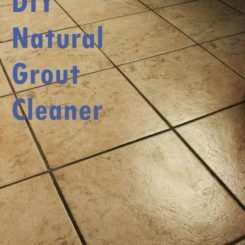 Take care not to add too much; your grout will seem very dry as you begin mixing, but this doesn’t mean you should add more water immediately. Begin stirring your grout and water. (We used a small hand shovel, which worked well.) You’re after a consistency somewhere between pudding and peanut butter. 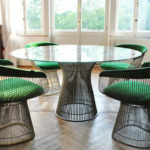 You want the grout to be malleable and spreadable, but you don’t want it runny. 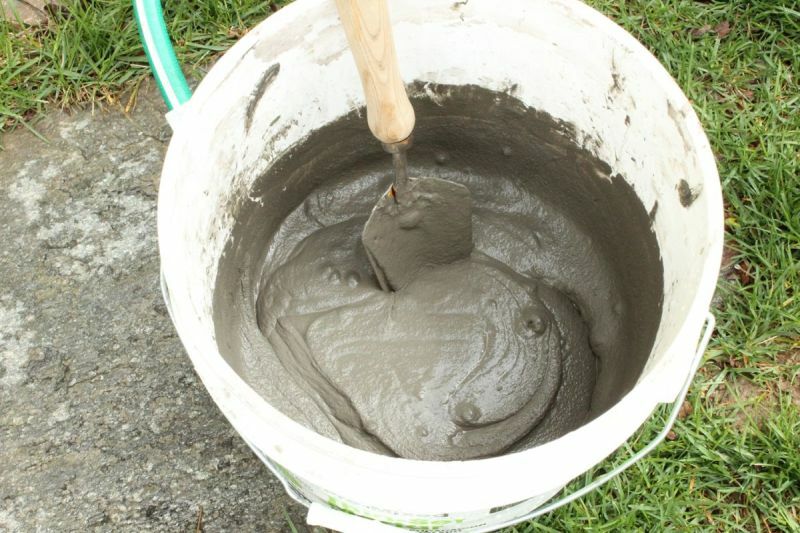 This photo shows the smoothness of the grout about 1-2 minutes before we stopped stirring. There are still a few lumps here; when you finish stirring, you shouldn’t see any lumps. Wait about ten minutes for your mixed grout to combine. 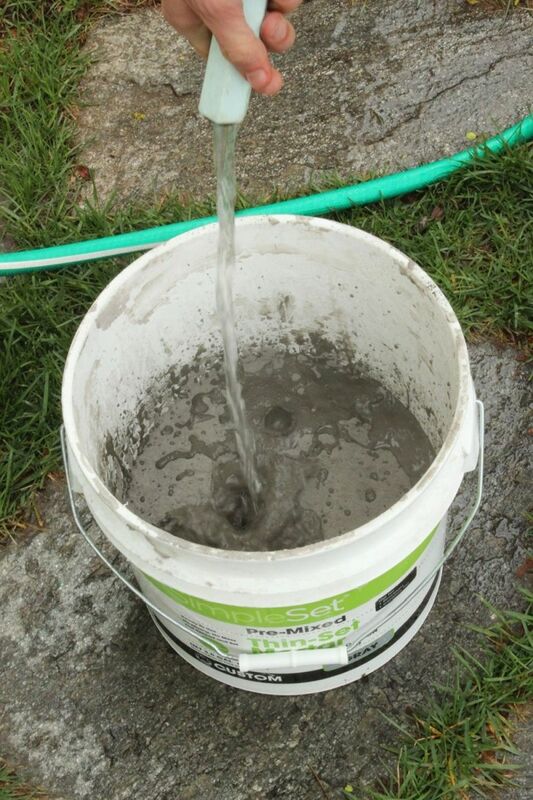 While you’re waiting, fill another large (5 gallon works well) bucket with clean water, and place it near your shower/tub surround. This will simply make rinsing your grouting sponge more convenient and efficient, particularly if you don’t have a water source nearby. 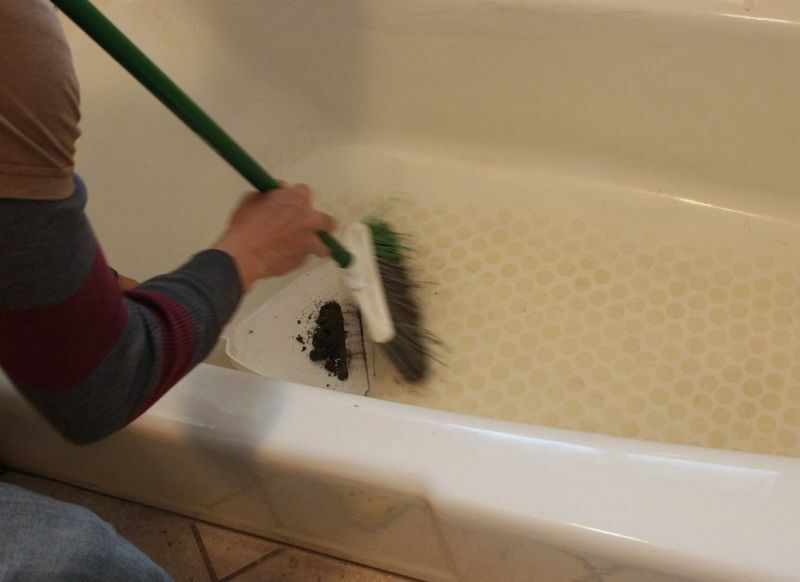 Even if you have a sink close at hand, you should be cautious about rinsing out tons of grout down the drain. Also during this ten minutes, double check your taped surfaces. 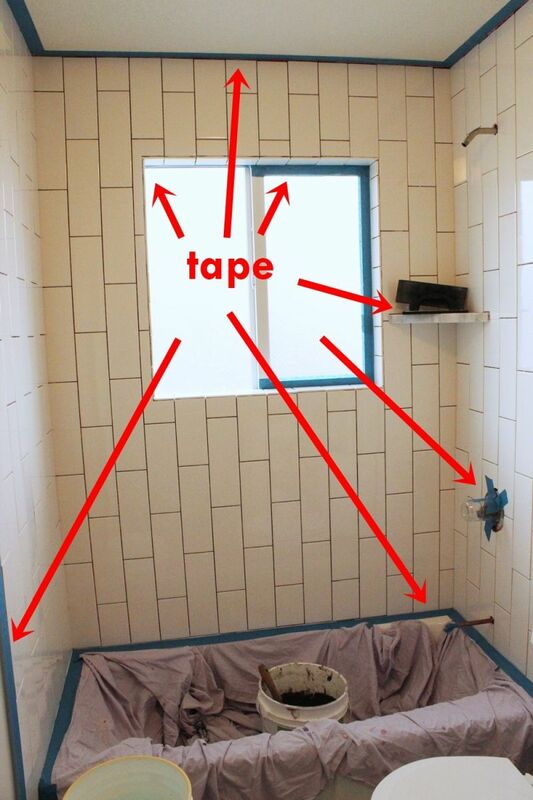 This photo shows all the places we taped – around the window, between the tub and the tile, between the tile and the walls, between the tile and the ceiling, and between the tile and the corner shelf (top and bottom of shelf). 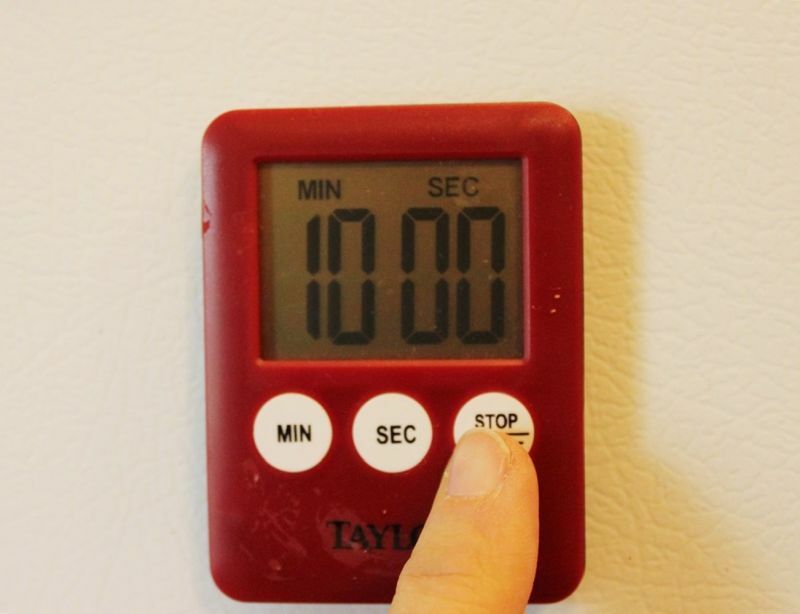 When the ten minutes are up, give your grout another quick stir. 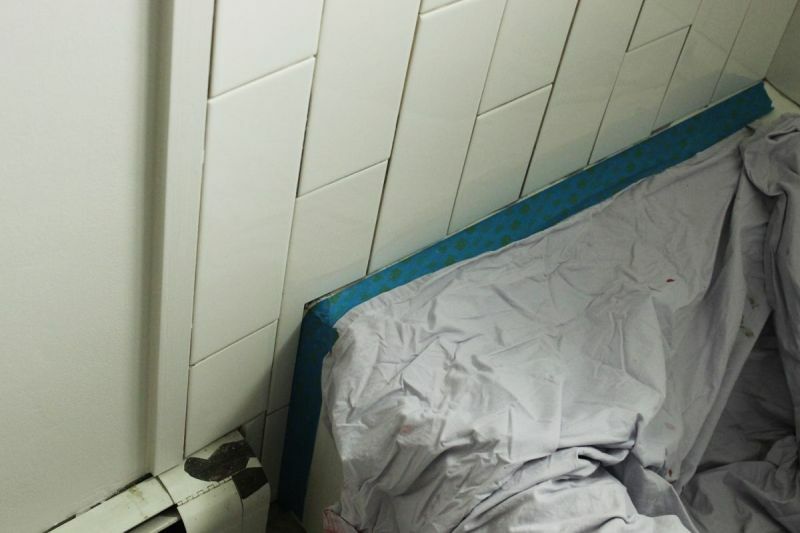 It’s time to start the (arguably) most important step of tiling a shower or tub surround. 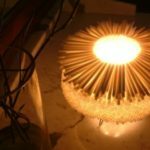 You’ll find the method that works best for you as you proceed with the grouting step, but here are a few tips. Scrape a bit of grout onto the end of your float, then scrape your float against a gap so the grout goes in. 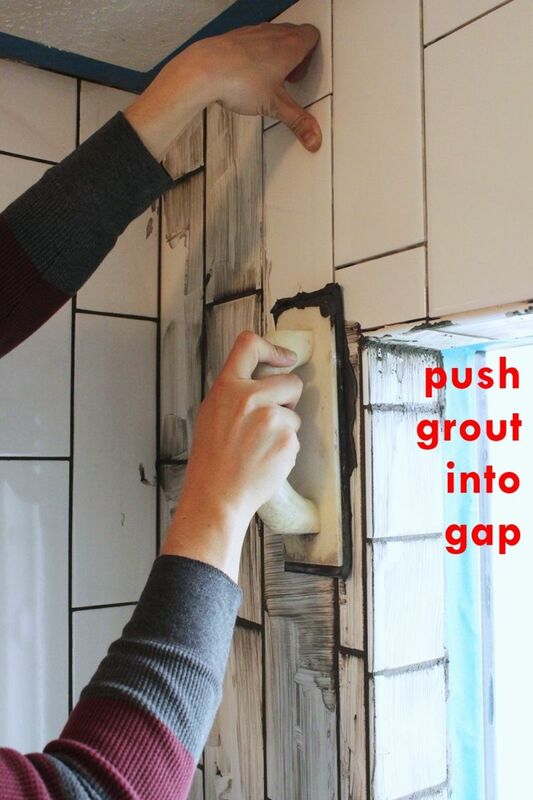 After you’ve gotten enough grout into the gap, run your float down the gap line to remove excess grout. 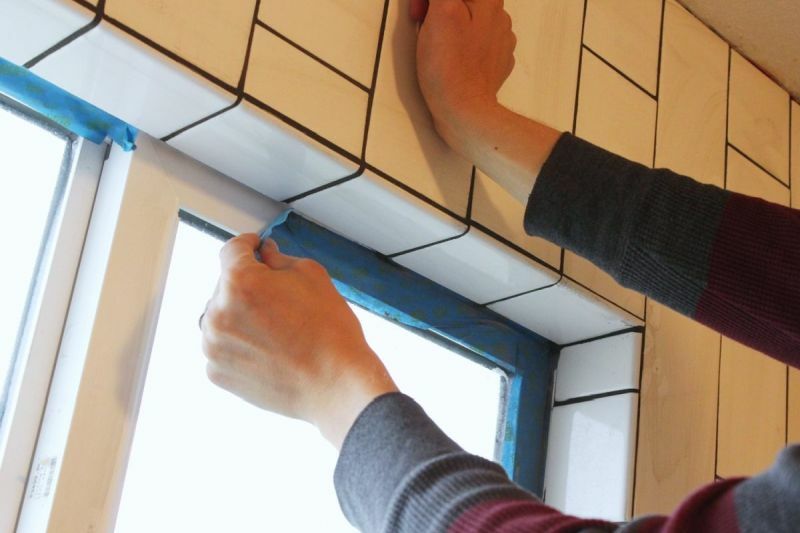 Tip: Don’t worry about smoothing out the grout too much during the application step. 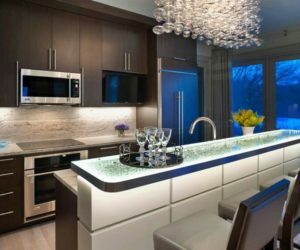 Your goal for this first part is to get the grout solidly into all parts of the gaps; the smoothing and evening out of the grout lines will come later. Avoid getting too far ahead of yourself. 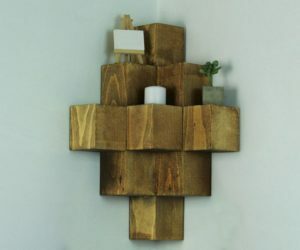 Focus on one small wall, or part of a large wall, at a time. 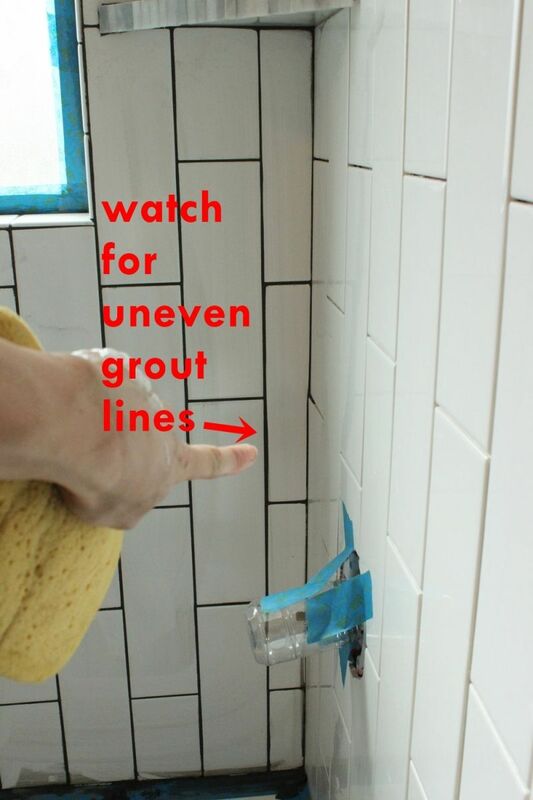 Check and double- and triple-check all grout lines for completeness, meaning fill any gaps or air pockets with grout. 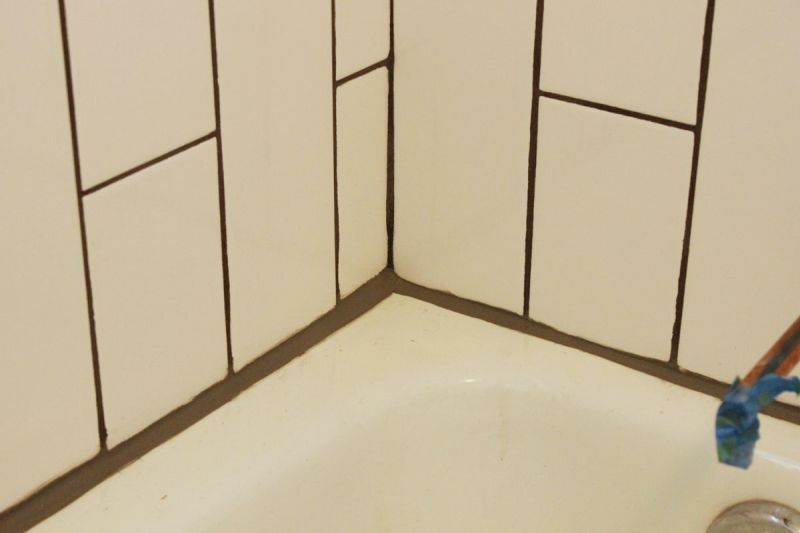 Although you’re trying to keep the grout in just the gaps, your freshly grouted wall will probably look something like this at first. 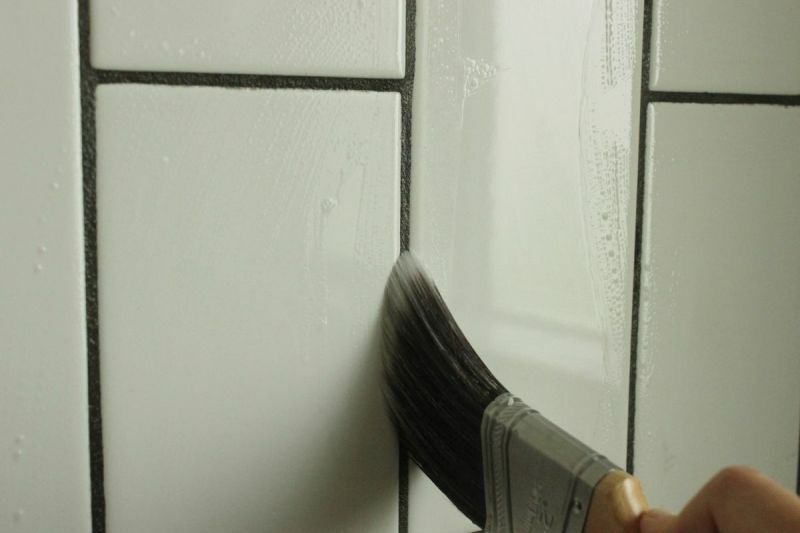 When all the lines look satisfactorily filled, it’s time to begin sponging off the excess grout before it dries on the faces of your tiles. Soak your sponge completelyin your waiting bucket of water. Wring out the sponge so it’s damp-wet but not dripping. 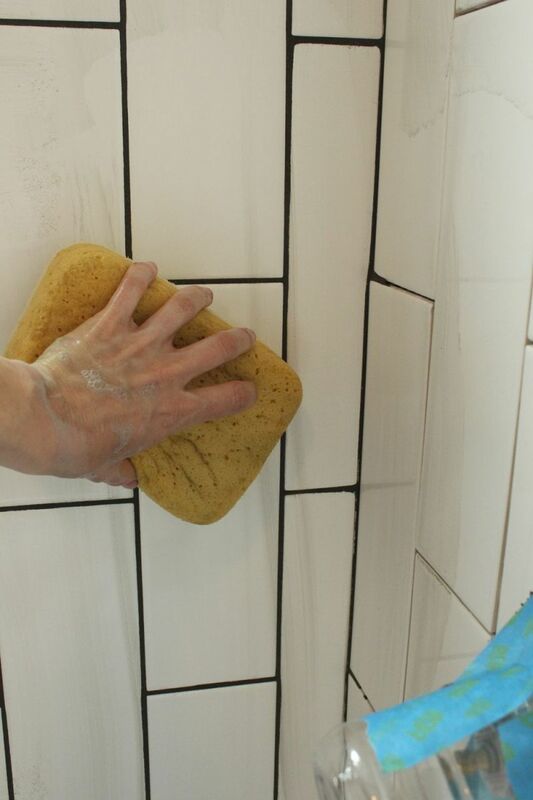 Just dive in, sponging off all the dirty grout on your tiles. 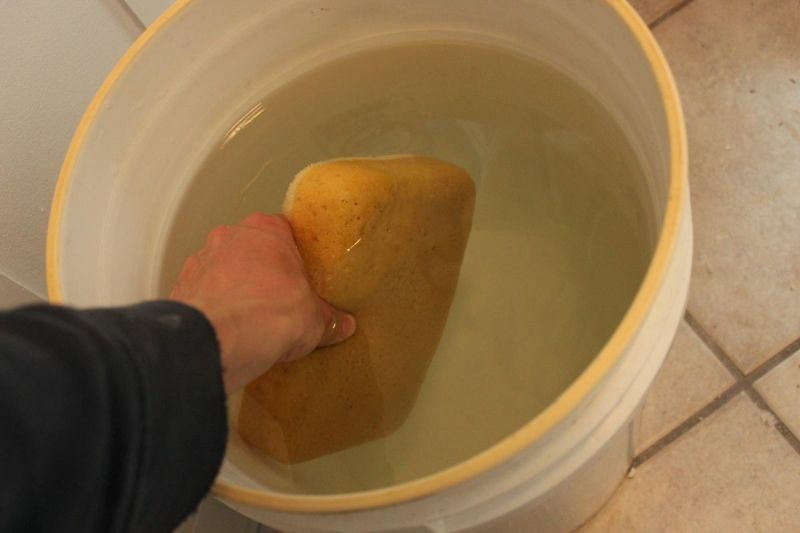 Rinse and wring your sponge often; even when your bucket water looks filthy, it will still clean the tiles well for now. 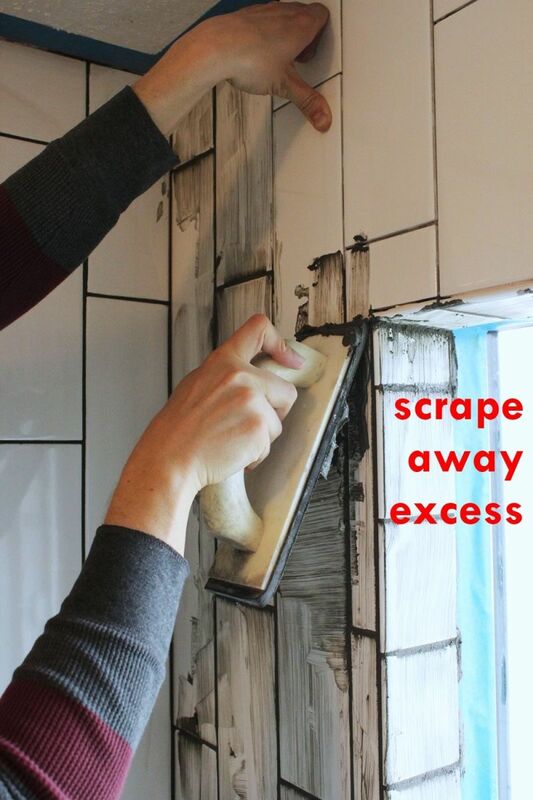 It may seem like you’re not making any progress, like you’re just smearing grout all over instead of removing it. Just stick with it. Rinse and wring. Rinse and wring. And repeat. 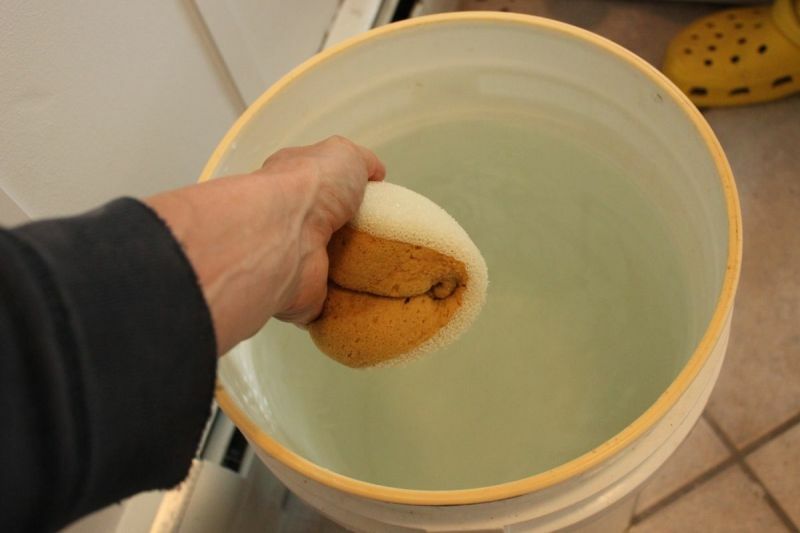 Tip: Use the terry side of your sponge for the first few passes, then turn to use the sponge side for the second half. Eventually, you’ll begin to see the actual color of your tiles again. When this happens, you’ll know you’re almost done with this phase of grouting, even though there’s still a hazy film on the tile faces. 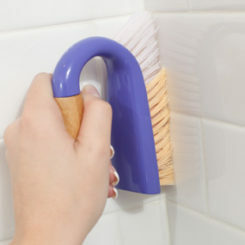 You’ll notice that, as you continue to swipe away at the grout mess on your tiles, it doesn’t ever come off completely. 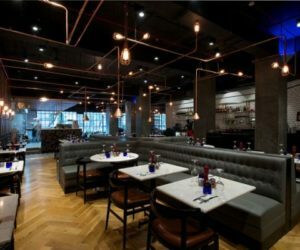 This is because, while your grout is wet in the gaps, some of it will come off on your sponge each time your sponge passes over the line. 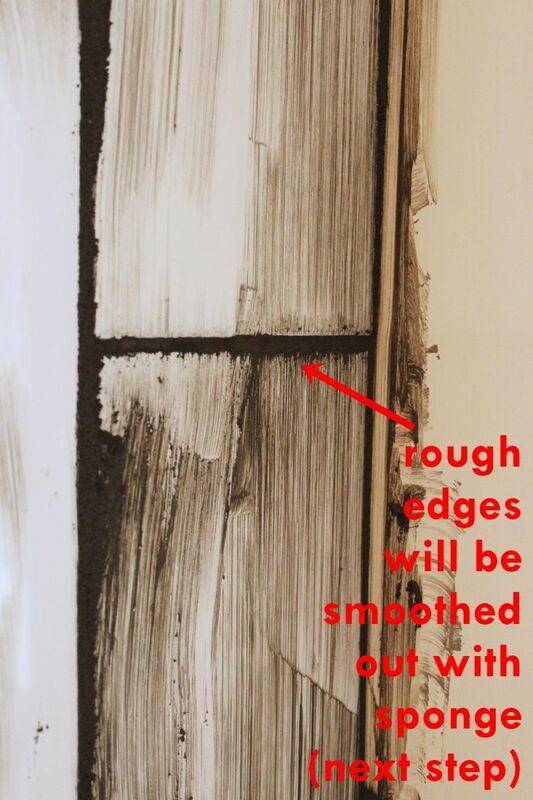 In other words, if you keep wiping away trying to get it perfect, you’ll eventually wipe out much of the grout in your lines. That’s not good. 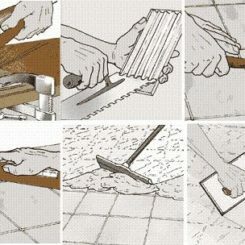 So just get your tiles clean enough that, when they’re dry, a quick wipedown will remove the grout dusting and reveal your tile faces. 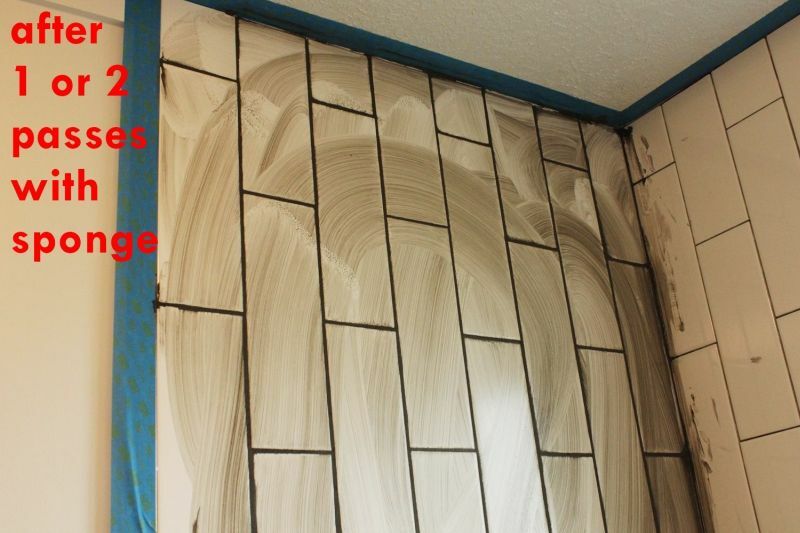 With the grout mess cleared off the tiles, it will be easier for you to see your actual grout lines. 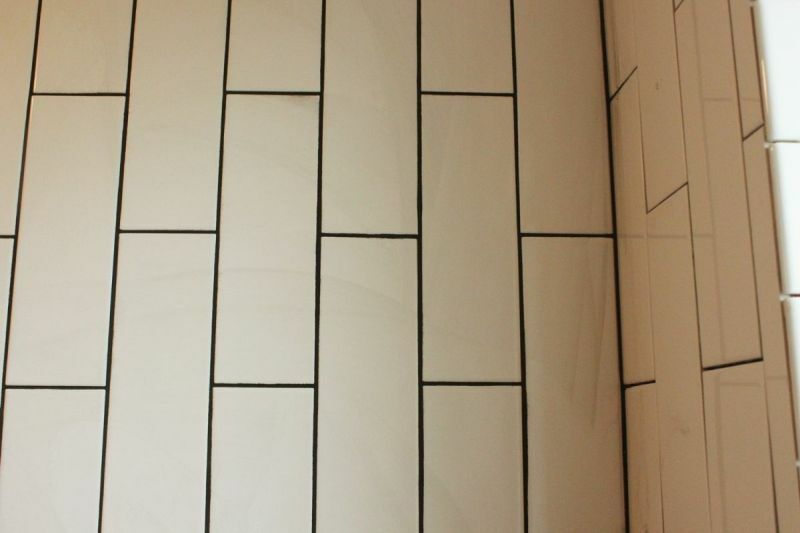 Ultimately, a great tile job includes even grout lines, where all lines are a consistent width. 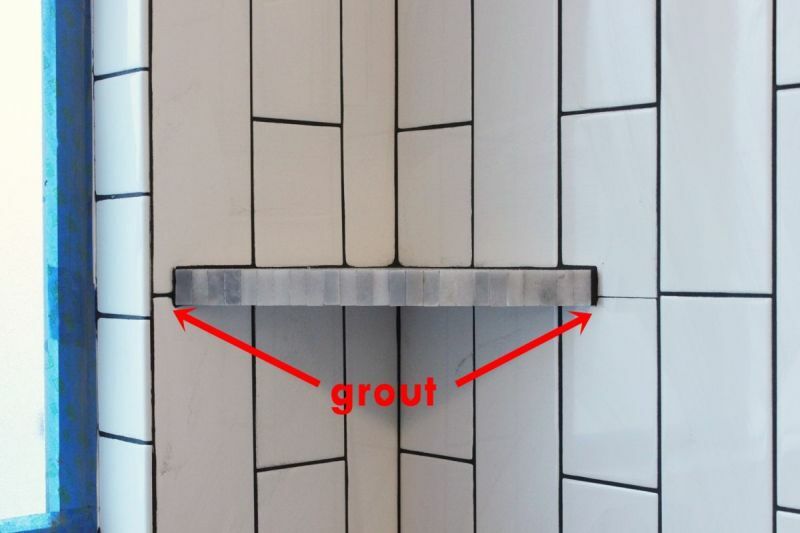 You can see a section of this vertical grout line that bulges (shown by the pointing finger). If you see discrepancies in a line’s width, this is an easy fix. Just take a clean sponge and wipe over that spot, in the direction of the line. 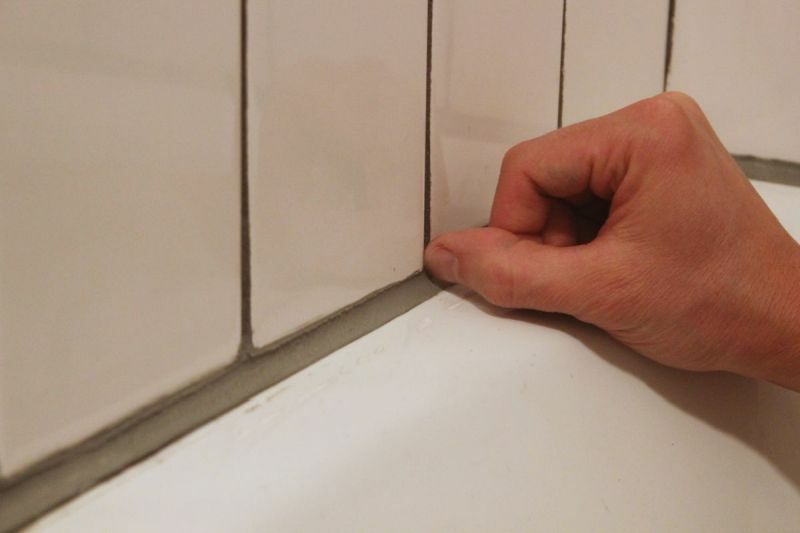 Apply pressure as needed to even out the line – but not so much that it empties the grout out, of course. 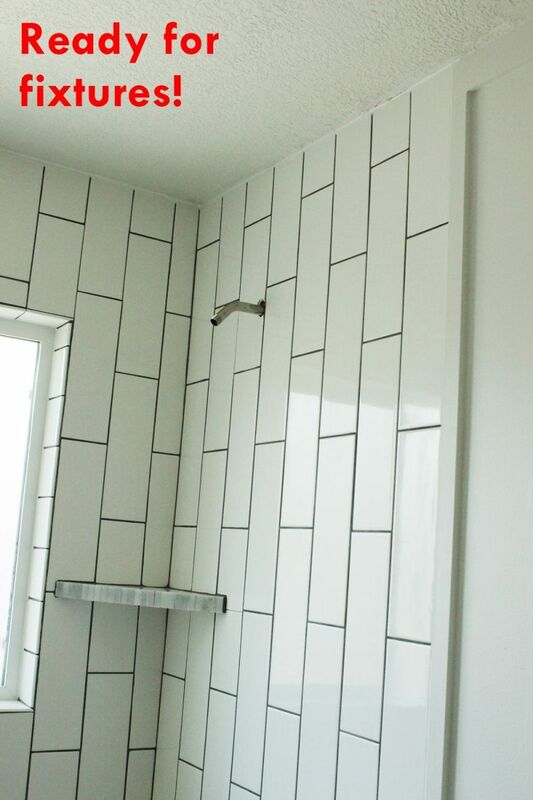 You can see that a quick wiping of this vertical grout line makes all the difference in its polish and consistent look. 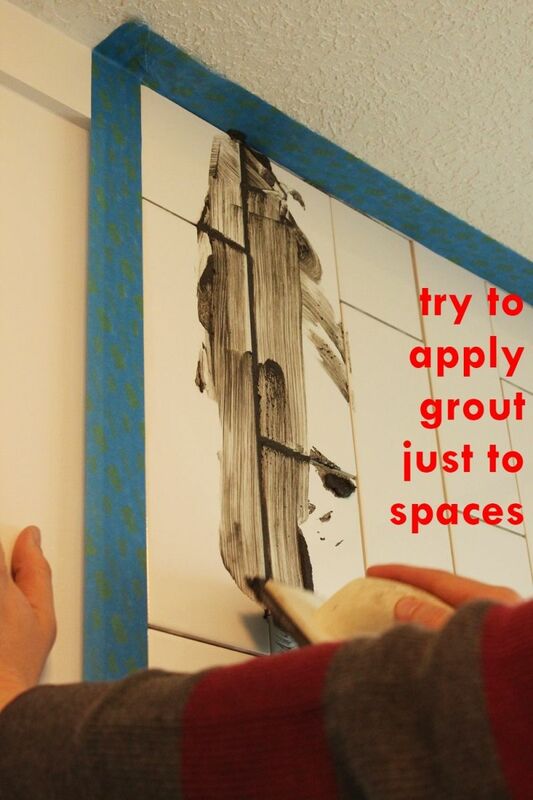 This is an important tip for achieving a professional look for your whole tile project when you grout. 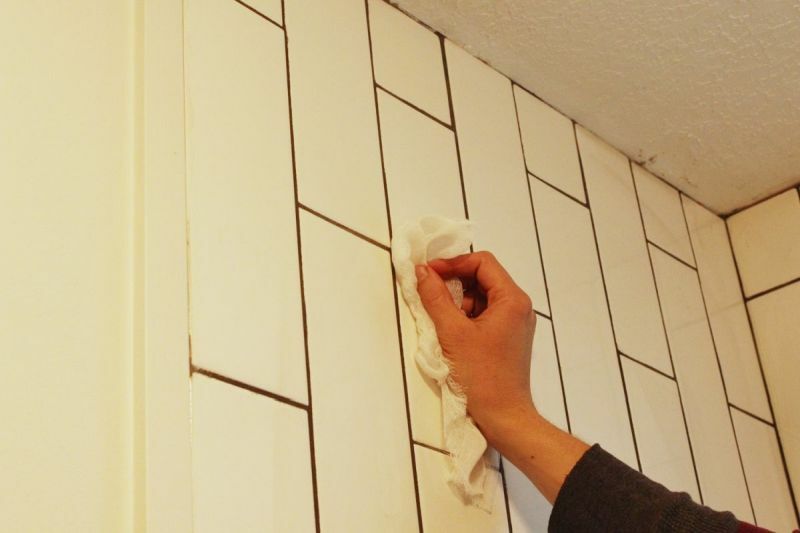 When grouting in corners, here’s a strategy to minimize using a lot of unnecessary grout (which just creates more work for you in the long run, because what spreads on must be wiped off). 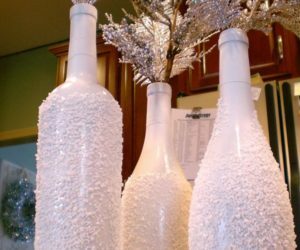 Place a small bit of grout, about what you estimate would fit in your gap, on the very edge of your float. 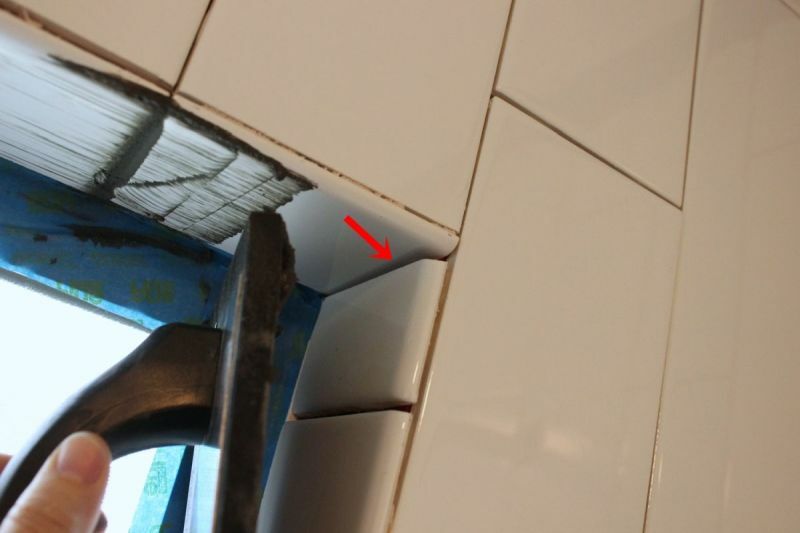 Aim the edge of your float into the corner to be grouted and press it straight into the gap. Press firmly, maybe wiggle your float a bit to make sure the grout goes solidly into the gap, then swipe your float down across the gap and away from the corner. 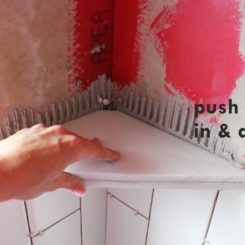 Add grout to odd spaces, such as the sides of your corner shower shelf (if applicable), using this same press-and-swipe method. 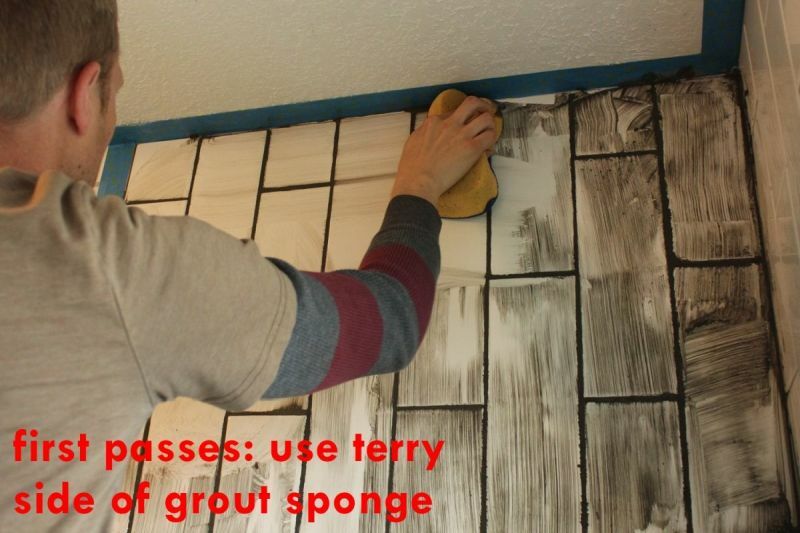 This is a great method for applying grout even on the flat surfaces, if you like it. 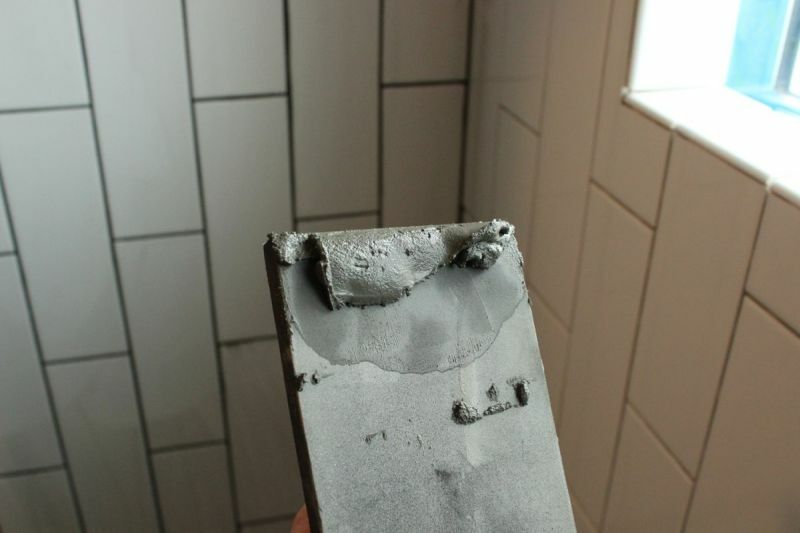 Again, simply place a line of grout onto your float, then press that section of your float straight into a gap. 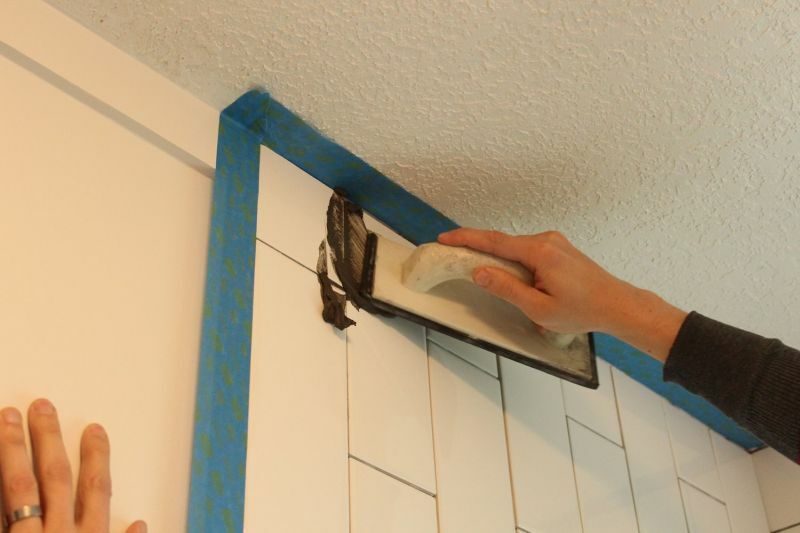 Slide your float to the side (perpendicular to the line) over the gap, lift it up, then swipe your cleaned-off float parallel to your line to remove any excess grout from the tiles. 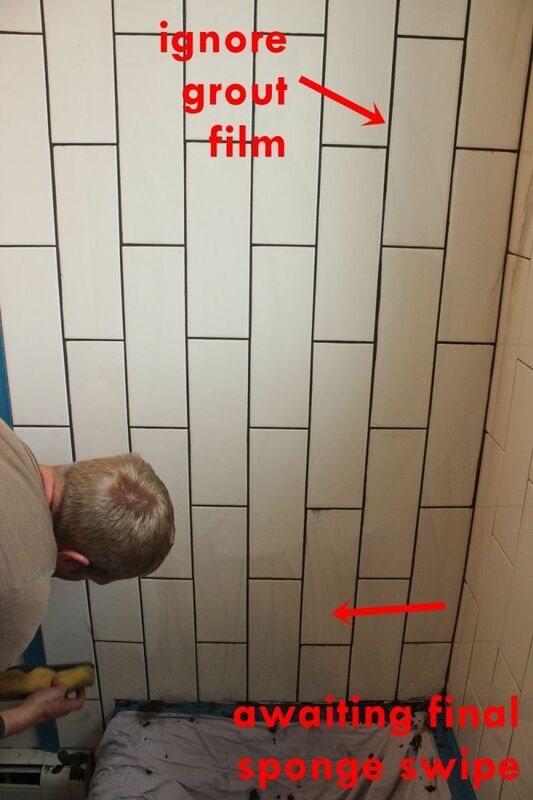 When the tiles are relatively free of grout and you’ve checked all the lines for air pockets or gaps, remove the tape. 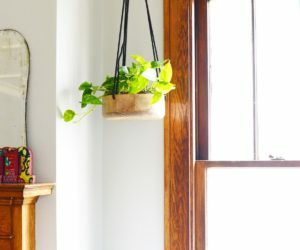 The grout in your gaps isn’t going anywhere at this point; in fact, you now need to wait two hours before you do anything else here. 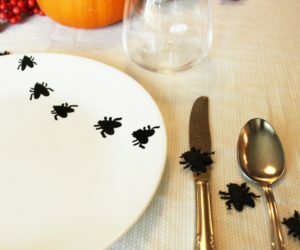 Except clean up. 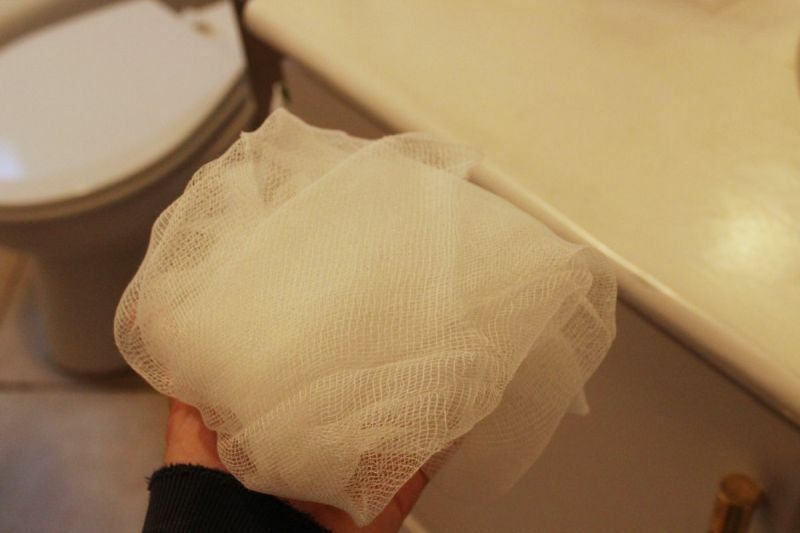 Wipe and sweep out the bathtub or shower. 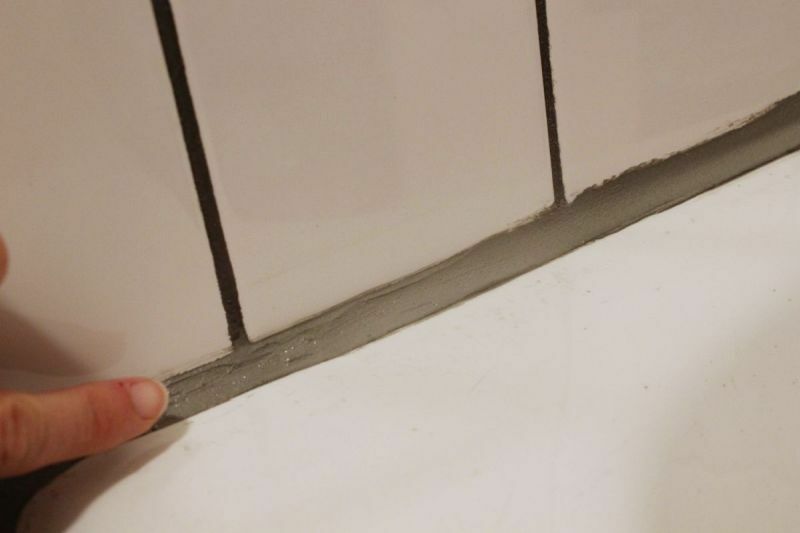 After two hours, your grout has had an opportunity to set up and begin to cure. 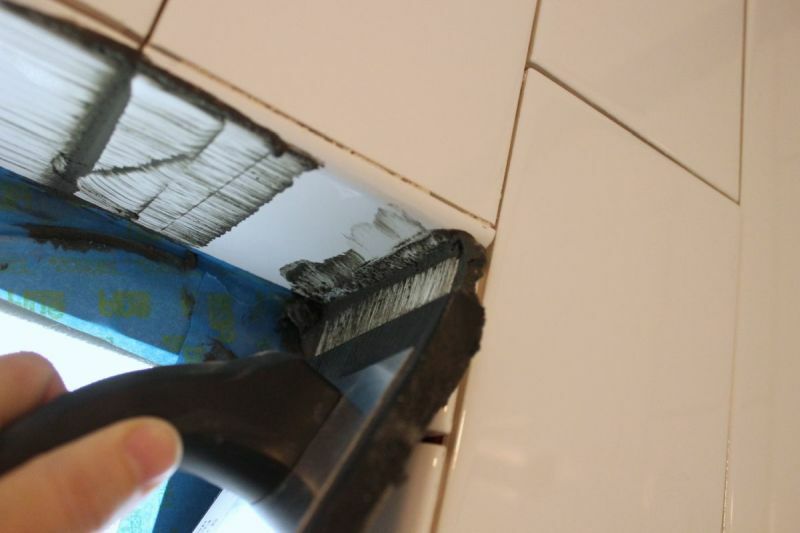 It’s now dry enough that you can (and should) remove the grout film that was left on your tiles. 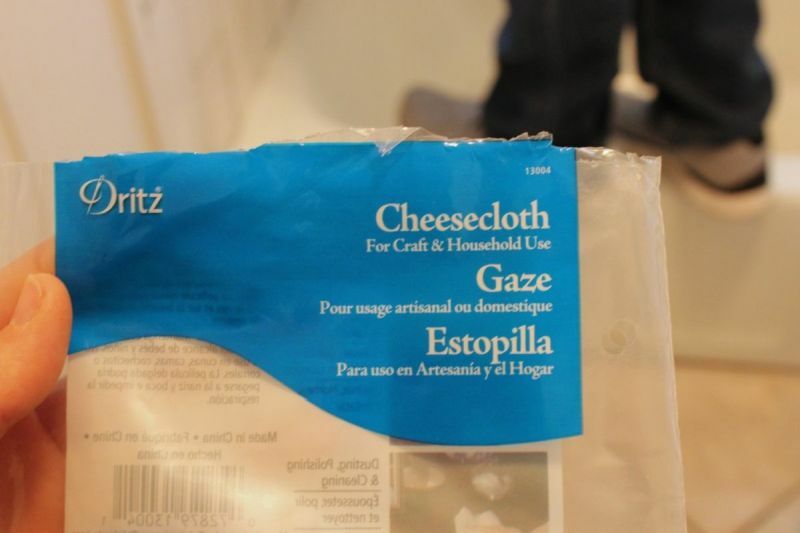 Plain, dry cheesecloth works well for this step because of its gentle abrasive properties. 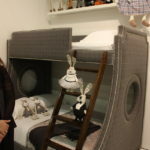 Just take a bit of cheesecloth and wad it up. 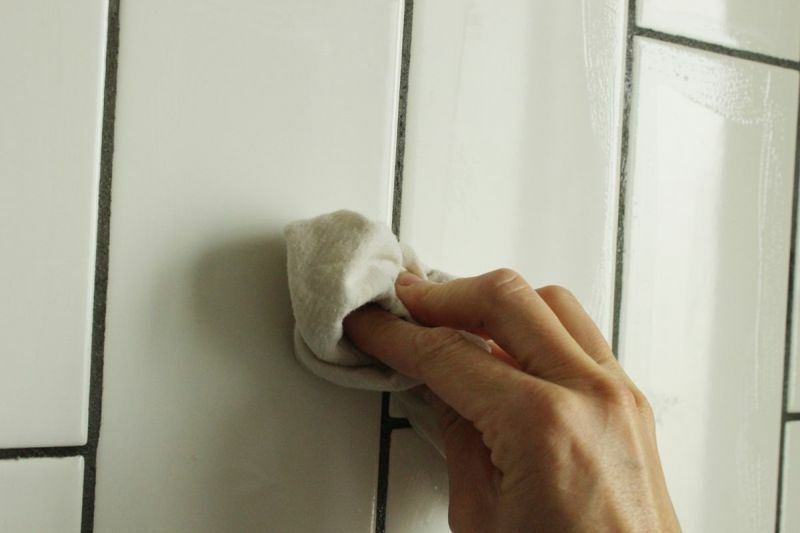 Don’t mess with the grout lines; keep your cheesecloth confined to the tiles themselves as you scrub away the haze. 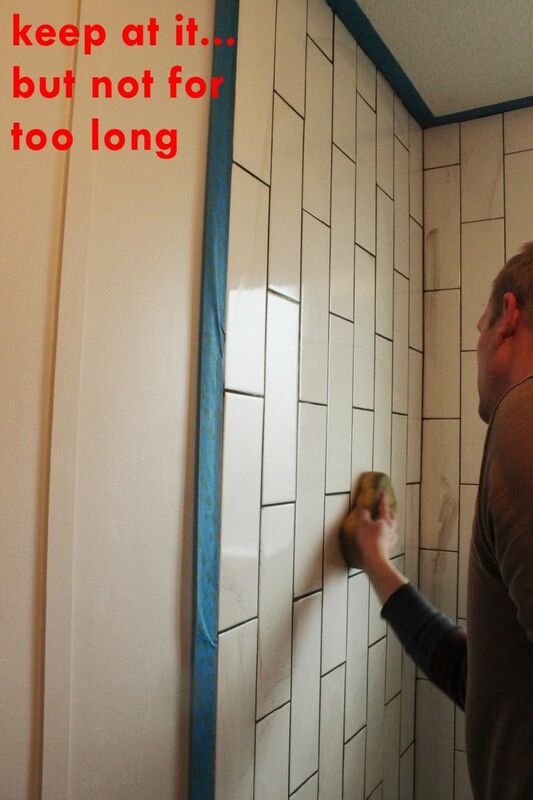 Wait at least 24 hours for your grout to fully set. Then it’s time to seal it up. 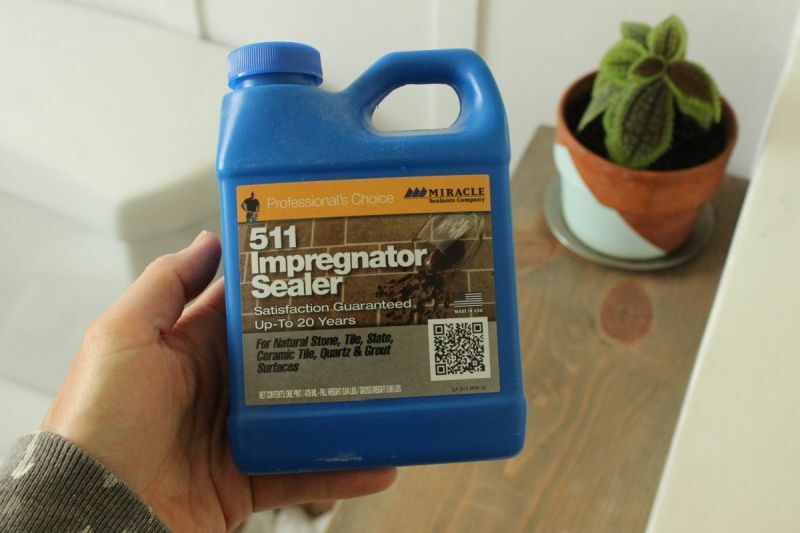 Although many grout sealers are on the market (there are even some grout sealers that can be mixed into your grout prior to application), 511 Impregnator continues to be the most durable product I’ve found for this. 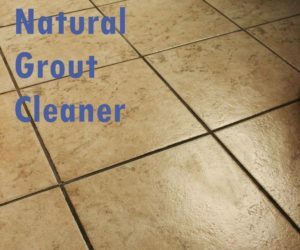 Instead of needing to reseal every year or two, grout sealed with 511 Impregnator can go five or six years before resealing. I highly recommend it. 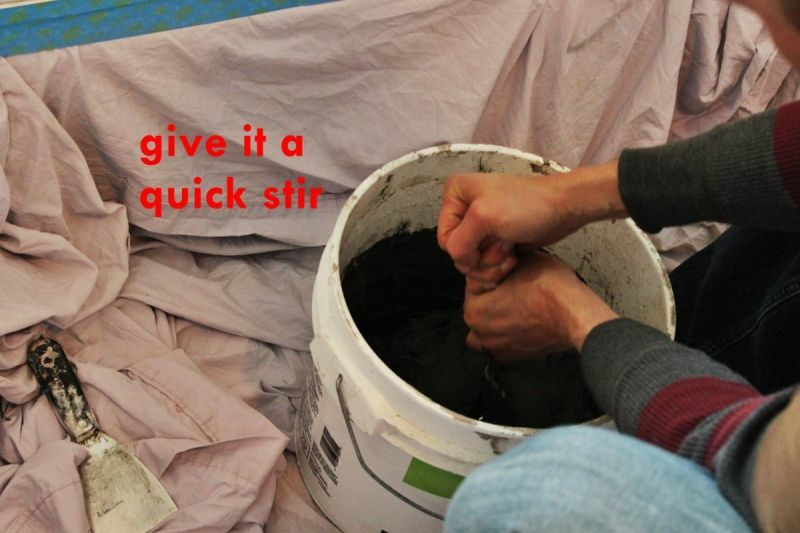 Pour some 511 into a small disposable plastic bowl, then paint it onto your grout lines. Try really hard to keep it to just the grout lines. Again, probably professionals can do this better than I. 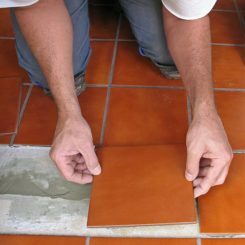 Wait a few minutes, then use a clean, dry, white cloth to wipe away any excess sealant from the faces of your tiles. 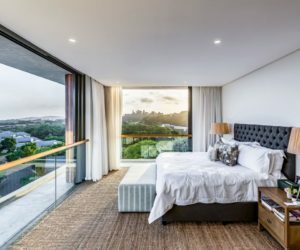 When your towel gets damp, exchange it for another dry one to be most effective in wiping away excess. 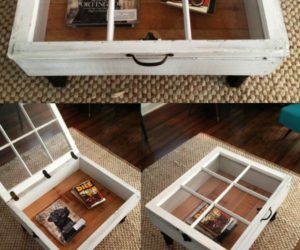 You can choose if you want to apply one or two coats of sealer; this being the watery place it is, I strongly recommend two coats. 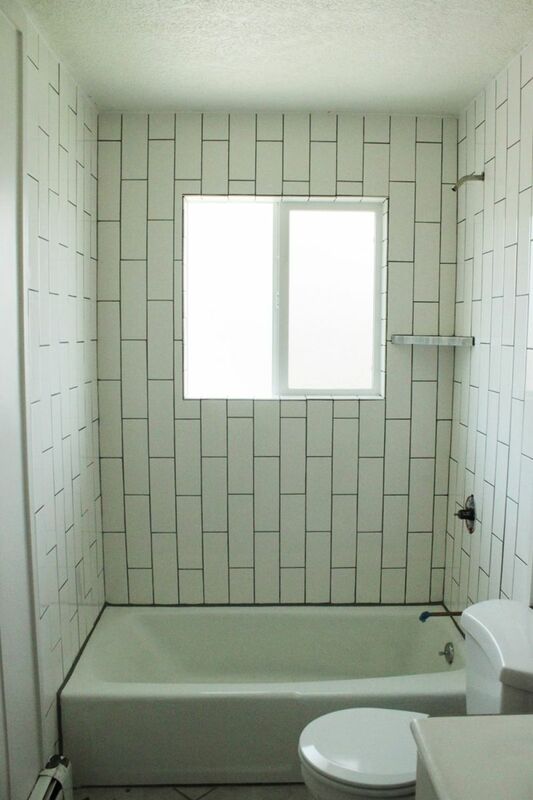 Once your sealant has thoroughly dried, it’s time for the last step in your tiled shower / tub surround: caulking. 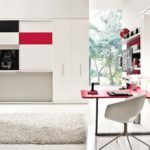 It’s important to choose the correct caulk, one specifically designed for kitchen and bath, or, in other words, water-heavy spaces. 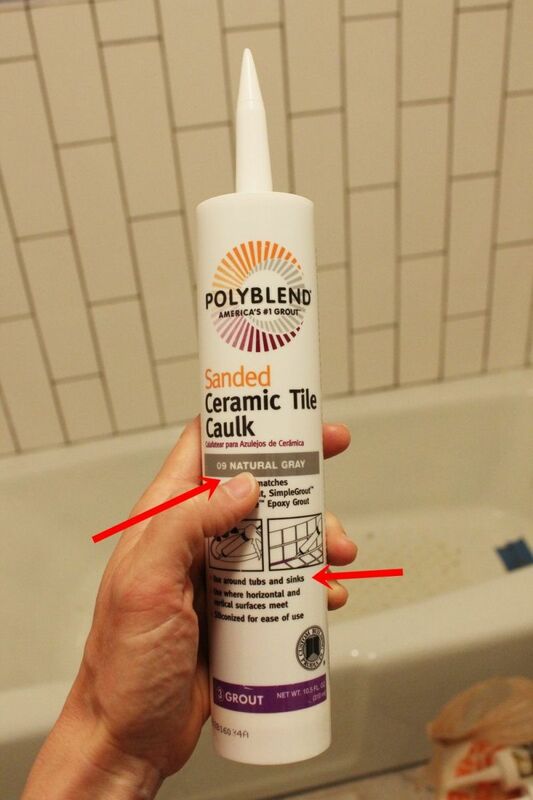 This particular caulk is for use around tubs and is also tinted to be the same color as the grout (same manufacturer), and it is the caulk this tutorial uses around the base of the tiled tub surround (where tile meets tub). I will be the first to admit that caulking is quite difficult to achieve a clean, professional final result. I’ve caulked many, many things and still struggle. That being said, if you have patience and a steady hand, you can make it work. 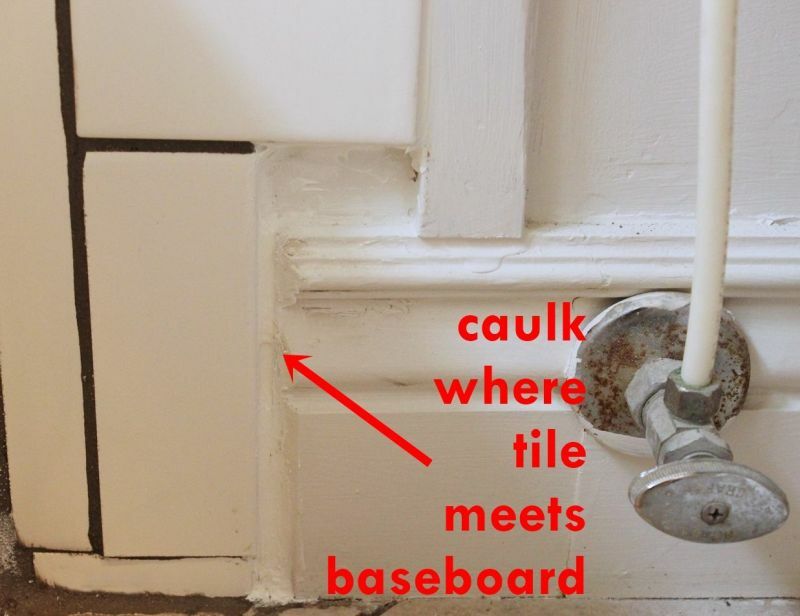 Begin by applying a bead of caulk in a straight line, from a corner to the next corner (or logical stopping point). 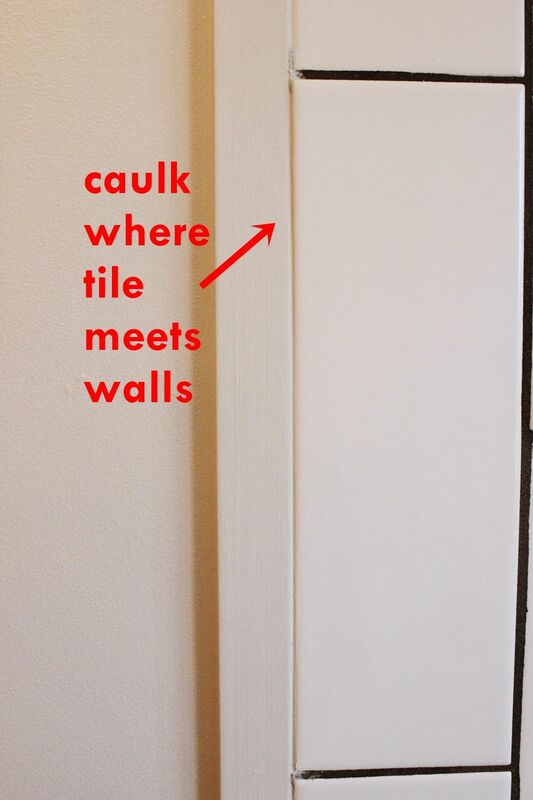 This photo shows an example on the heavier end of application; due to discrepancies in the tiles’ distances from the tub surround, we needed more caulk for a straight, seamless joint than a typical caulk application. Wet your finger with water, then run it in a smooth, steady line down the caulk bead, from corner to corner. 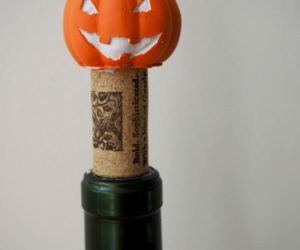 You may need to use a paper towel corner (or three) to straighten edges. 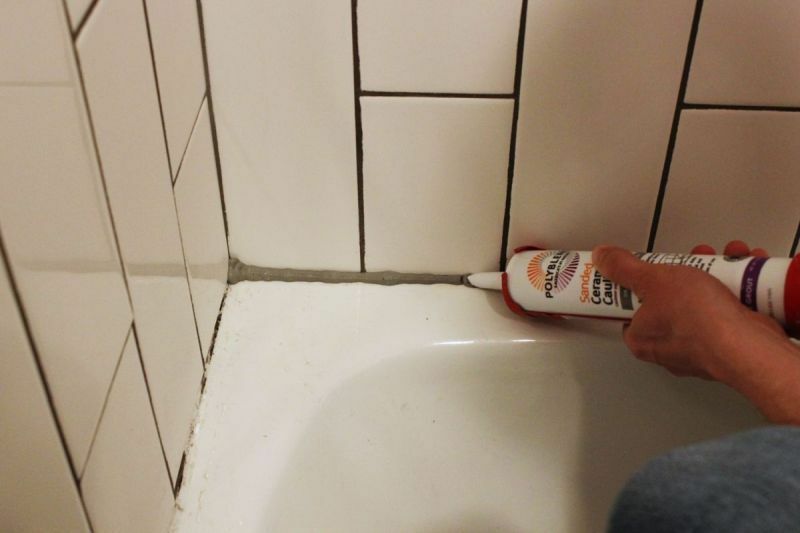 The goal is to waterproof your joints by completely connecting the tile and grout ends with the adjoining surface in a seamless strip of caulk. 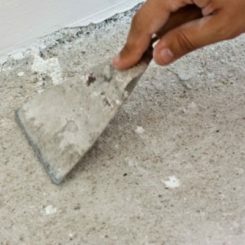 A fingernail is great for touching up splotchy edges; however, be aware that the more you mess around with smoothed-out caulk, the greater your chance of having it look worse. 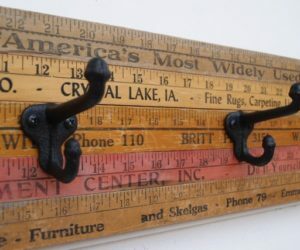 With caulk, in all aspects, less is definitely more. 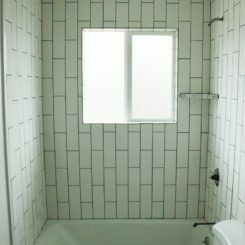 While it’s not perfect, our caulked tub edge got to the point of being good enough, and we decided to walk away before making it a muddled mess. For all the other joints around our tub surround, we used a white silicone. With the vertical emphasis of this bathroom makeover, a grout-colored horizontal line around the top of the tub surround would have looked odd. 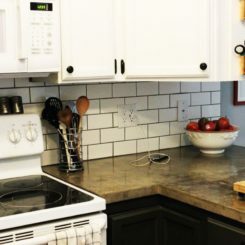 Instead, a white caulk line almost disappears next to the white tile and white ceiling, keeping the eye’s focus on the up-and-down rather than side-to-side. 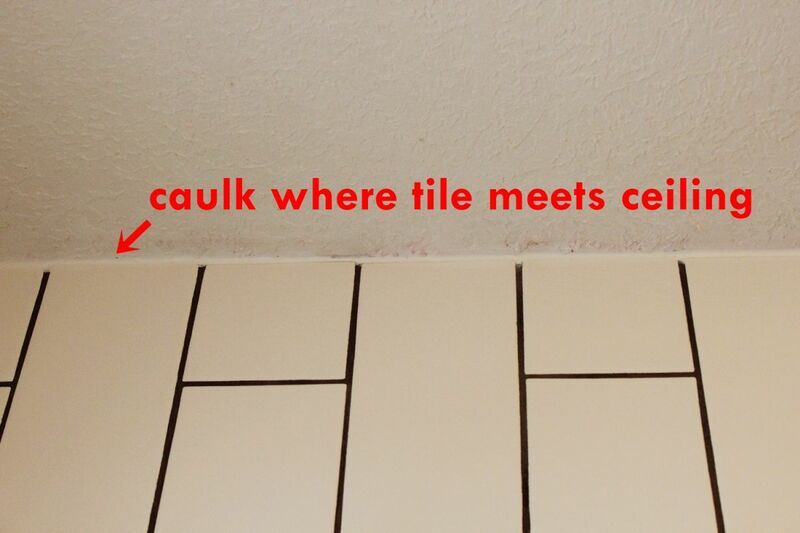 If you’re wondering where caulk is required, here’s a good rule of thumb: Caulk anywhere that tile meets up with another surface. 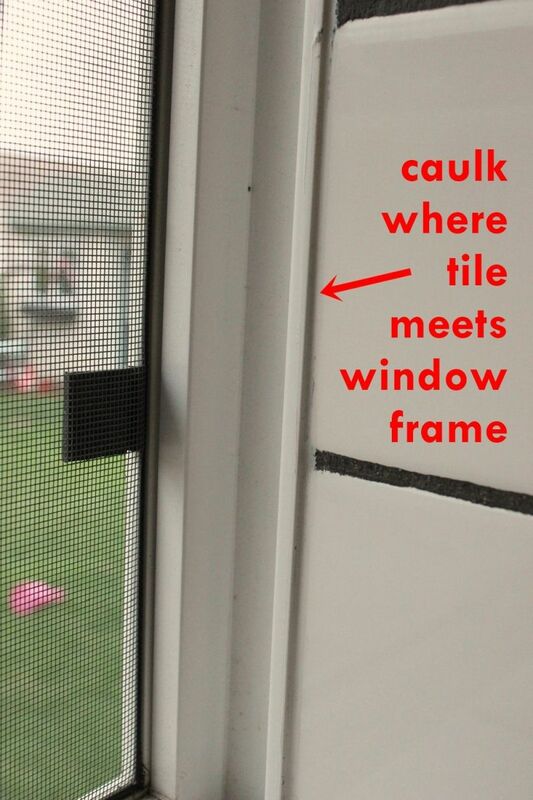 Caulk between the edges of the tile that meets up with the window frame. 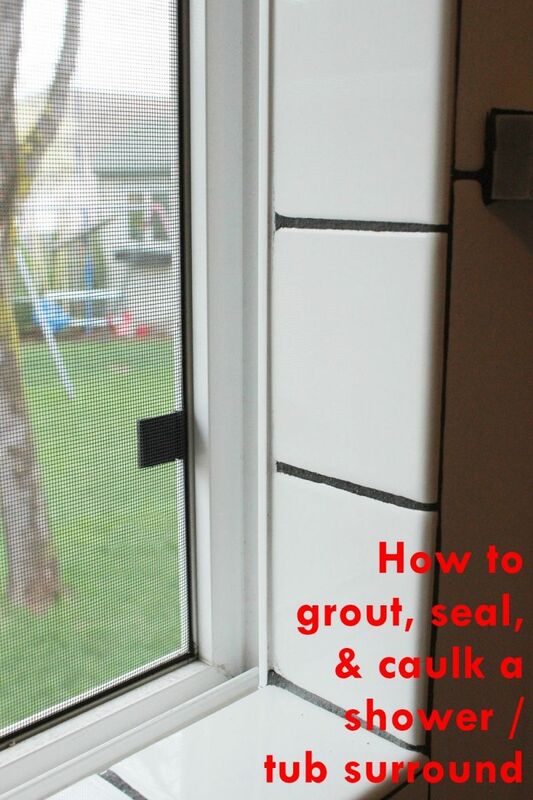 You definitely want a water-tight seal there so that water doesn’t seep down between your window and tile, into your walls and insulation and what have you. 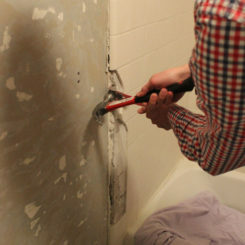 Even caulk the ugly spots, like where the tile touches the baseboard back behind the toilet. It’s likely that no one will see these places, but that doesn’t mean water won’t find its way in. 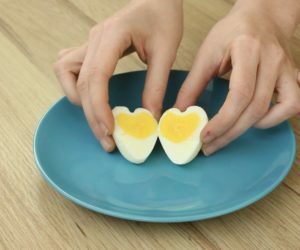 You’ve done it! 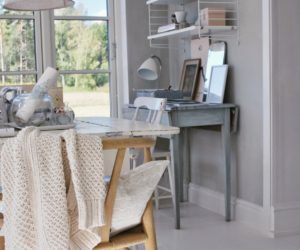 Does caulking make you as crazy as it makes me? 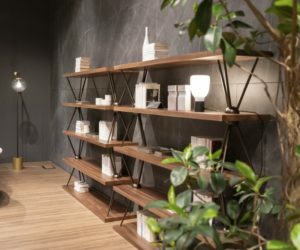 Take a deep breath, step back, and admire your handiwork. It’s a beautiful shower / tub surround. 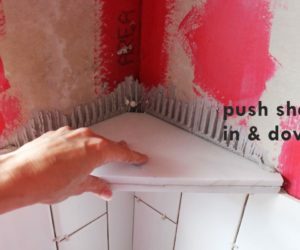 With the tile installed, the protective grout applied and sealed, and your edges caulked, you’re now ready to reinstall your shower / tub fixtures. The end of the tunnel is in sight!